FAIRFIELD — With all the necessary approvals in place, police officials estimate body cameras and in-car cameras should be in use after the start of 2019. The Representative Town Meeting Monday unanimously approved the $747,724 grant request. Under a state Office of Policy and Management program, the town will be fully reimbursed for the costs of the cameras, servers, and software. Another $7,500 for training will be reimbursed by the vendor. The videos will be stored on dedicated servers, which department officials said ends up less costly than annual cloud storage fees. There are certain things that will trigger the car cameras to go on, Bucherati said, such as activating the lights and sirens. 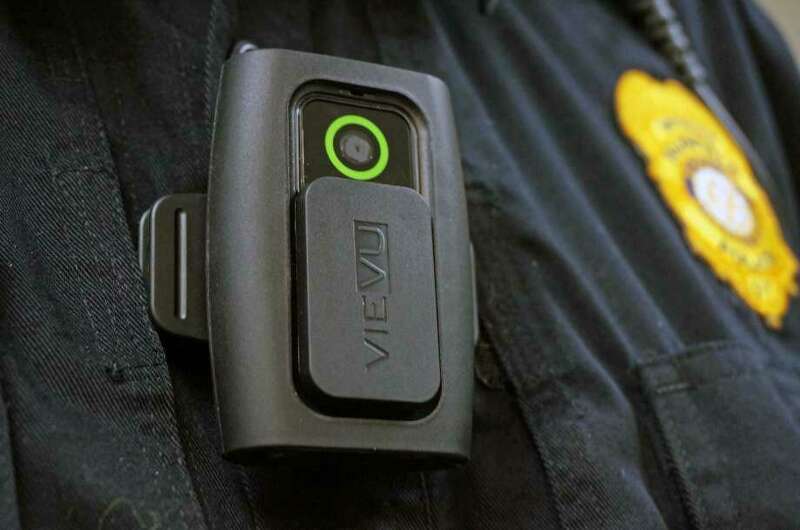 “For the body cameras, there will be some configuration that will have to be done,” Bucherati said, and in addition to training, there will be time spent going over department policy for the cameras. Each officer will be assigned a camera. “The officers are familiar with them, most of them have been exposed to them,” Bucherati said. He said during the pilot program, the cameras have recorded everything from fights to DUI arrests, and officials said they were used at least three times to investigate civilian complaints. Bucherati said from the 10 officers’ cameras, in about a year and a half, they collected almost 600 gigabytes of video. With all of the patrol officers wearing cameras, he said, video will be automatically deleted after 90 days, unless tagged for saving. He said the officers that have been using the body cameras under the pilot program love them, and he hasn’t heard any complaints from the public. The body cameras cost $759 each, and it is expected the department will have to begin a replacement program in five years, replacing 20 cameras each year for three years. Lyddy said the cameras will allow the department to provide better documentation of incidents, and possibly reduce claims against officers. They could also reduce the amount of time spent in court, he said, because the cameras provide better evidence.